Quantum computers are hailed as the new wave in the use and processing of big data. They are perceived as much more powerful in terms of decision-making, transfer speeds and complexity of computing tasks. However, there are also several drawbacks that affect the uptake of quantum as a processor standard. Firstly, as a relatively new modality in this sector, it is often more expensive than traditional CMOS-based computing. Secondly, it tends to be much more sensitive to environmental conditions, with temperature as a prime example. Quantum computers appear to be very sensitive to heat, and are susceptible to decreased precision in its decision-making abilities in response to temperature changes that may be only a few degrees in magnitude. However, an emerging trend known as quantum refrigeration may have arisen to solve this problem. Quantum computers may indeed have a number of advantages over conventional silicon-based circuitry, especially when it comes to handling cognitive computing, or the complex system of determinations and decisions required to process and interpret big data. Big data is generated by research into areas such as genetics, climate trends and artificial intelligence, which may result in many thousands of data points on similar variables or singular events. These would take a long time for a human operator to collate, analyse and interpret. Therefore, modern computing takes over in the collection, organisation and processing of this data to generate trends, statistics and other end-results of big data. Conventional processors are somewhat effective in doing so, but also face limits in the face of this type of data load. They may convert them into the typical, binary standard (i.e. 1s or 0s) of data, whereas the complexity of big data may require more variance in bit type. Quantum computers, on the other hand, may generate qubits of this data, which are mutable due to the quantum (i.e. both one and zero until defined in real-time) nature of the particles (i.e. electrons) that make up quantum chips. On the other hand, the electron activity upon which this quantum state depends can be perturbed very easily by even minute changes in the ambient temperature. This may lead to an errant determination in a qubit’s state, which manifest as errors in quantum computing. This vulnerability of quantum computing has historically required epic and elaborate cooling systems, some of which had to keep such a system at absolute zero or a few degrees Kelvin for the quantum components to function at peak efficiency. These refrigeration systems have decreased in size and complexity over time with research and development, however. The current trend in quantum refrigeration research involves tiny channels that occur at normal metal/insulator/superconductor (NIS) junctions. These single-charge tunnels, as they are known, are reported to have a vast range of tuning in response to a bias voltage, thus conferring the extreme reactivity and adjustability a refrigerator for a quantum system may need. A team, based at the Department of Applied Physics at Aalto University in Finland, tested an NIS junction tunnel-based cooling system on the operation of a simple quantum system. They found that this set-up, which they named the quantum circuit refrigeration system (QCR), worked by having an electron accept a photon from the circuit (a resonator) rather than allowing a photon to be emitted. The team claimed success in the action of their QCR as they had documented electronic temperature reductions in a resistive probe connected to the circuit. They also claimed that their results were verified by control experiments and by a “quantitative agreement” between theoretical models and their real-world recordings of QCR temperature at different operational voltages and heat levels in the bath in which the QCR was contained. The QCR was also a relatively simple quantum system, consisting of two parallel oscillators of about 6.9mm in length. On the other hand, the team made up of Mikko Möttönen, Shumpei Masuda, Joonas Govenius, Russell Lake, Matti Partanen, & Kuan Yen Tan, appear confident that their QCR can be scaled up to serve full-scale quantum computers. Quantum computers represent a potential revolution in data processing and transfer, as well as memory standards. However, they lack the tolerance for failure in response to environmental fluctuations we’ve come to take for granted in conventional CMOS processors. Even minor increases in temperature can elicit errors in quantum computing. Therefore, quantum computers will need to come equipped with cooling systems that keep the system at a consistent or optimal temperature so that it can run smoothly and accurately at all times. Dynamic refrigeration is also advantageous as temperature changes may cause quantum memory to ‘reset’ itself. A team from Aalto University demonstrated their quantum-circuit refrigeration system that works by removing photons from electrons in a NIS-junction channel. Dr. Möttönen and his team reported successful cooling in their QCR system compared to no cooling in a control sample. It must be noted that the simple quantum system the team was able to cool using the QCR was a resonator; however, they now mean to move on to the refrigeration of quantum bits (the components that carry data) next. However, the project shows that more efficient quantum refrigeration is increasingly feasible. It may also be more amenable to integration into computers of dimensions that may be closer to the norm, as the QCR was actually integrated into the resonator’s millimetric chip. 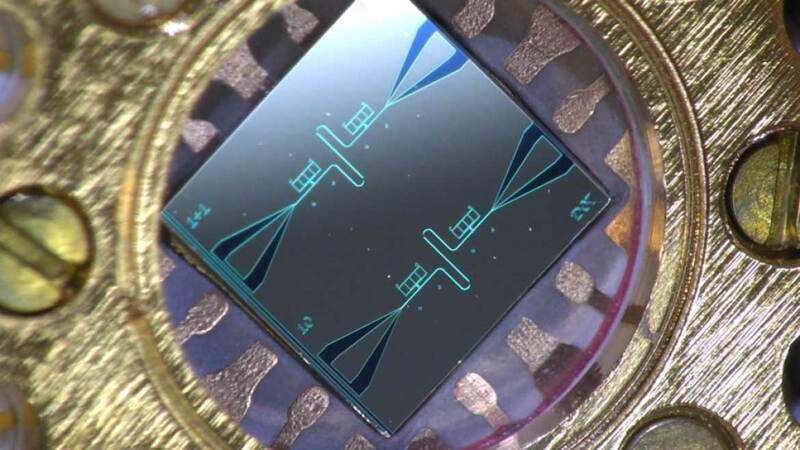 Therefore, components like the QCR may become either common features of quantum processor subunits, or scaled up to act as the ‘heat-sink’ for an entire quantum system. Tan KY, Partanen M, Lake RE, Govenius J, Masuda S, Möttönen M. Quantum-circuit refrigerator. Nature Comms. 2017;8:15189.